Groupon Promo Code + Discount Duck Tour Tickets Available! Update: You can find discount tickets through daily deal sites for the Boston Duck Tour 2016 season here. Daily Deal site Groupon is offering a 15% discount on local events and activities with promo code FUN15 at checkout. The promo code is valid until today, August 26, 2014 with a max discount of $50. Updated to add: After this post was published, LivingSocial released discount duck tour tickets for $24 and it includes the Harvard Tour too with similar terms as the Groupon deal, so you may want to check that deal out too. Use promo code LABORDAY20 to save 20% until September 1, 2014 before midnight. There’s a lot of fun and discounted activities in the Greater Boston area on the list. To see all the Groupon deals, please head here. *Disclosure: This post contains my affiliate links and if you have any questions, please see my disclosure policy. However, you may want to book through a cash back site like Shop At Home for 10% cash back. Okay, I must admit I graduated college too many years ago now (sigh) and finished graduate school over a year and half ago, so I may be a little out of touch of the very best ways to save money on textbooks. If you have any tips I may have missed, please let me know in the comments below! 1. Plan ahead: This is very important. Don’t wait to the last minute to purchase your book because the most expensive books are most likely to be left. Yes, you may want to wait until after you receive your syllabus to see if you will use your textbook or not, but chances are you will. Buy the book ahead of time and pay attention to the return policy. You usually will have seven days or so to return the book if you won’t need it. Also, if you plan to buy books cheaper online, you will need to plan ahead to make sure the book arrives in time. 2. Do a price comparison: Make sure to do a price analysis between the school bookstore and the online marketplace. Sometimes the school bookstore was cheaper (and more convenient) but often times I could find the book cheaper online. Also, make sure to price out different websites, because some websites have free shipping and some don’t, which could change the overall price of the book. 3. Rent textbooks: Often times you can rent a book instead of purchasing a book at a much more affordable rate. Keep in mind you do need to return the book back and cannot sell it back for additional money. This is a great option for new edition books that are pricey and renting reduces out of pocket expenses. College bookstores and online bookstores do textbook rentals so make sure to do a price comparison on textbook rentals too. 4. Amazon Student: I love Amazon Prime for the free 2-day shipping which is great for last minute textbooks. Better yet, Amazon Student is cheaper than Amazon Prime with similar benefits. If you haven’t checked out Amazon Student before, you can even get a free Amazon Prime membership trial which is perfect for a semester of books at free and quick shipping. Also, it is pretty easy to sell back Textbooks to Amazon for Amazon gift cards. Don’t sit on your textbooks though, because they lose value fast so make sure to exchange them sooner than later. 5. Borrow Textbooks: Another option is to borrow textbooks from a roommate or friend in your class. Also, check your college library because sometimes you can borrow a textbook from the library for the day or a short period of time which is perfect for assignments or classes where the textbook isn’t absolutely necessary. Do you have any tips to save on college textbooks? Are you looking for a new gym and/or looking to check a new gym soon? Boston Sports Club has 25 locations in the Greater Boston Area with many locations directly in Boston too. I am giving away 5) Free 1-Week Memberships for BSC at a $75 value for first-time visitors. The passes expire December 31, 2014 so you have plenty of time to use them. If you are interested in the free one-weel BSC membership, please leave a comment below with your favorite workout by Thursday, 29, 2014 at noon and five people will be randomly selected. I will send you an e-mail within 48 hours for a mailing address for the free membership pass if you are a winner. So, what is your favorite workout? Every Friday, I feature a fun and budget-friendly option in the Greater Boston area. The “Feature Friday” is typically mentioned on the Cheap Eats list, Free Things to Do in Boston, or Discount Attractions. 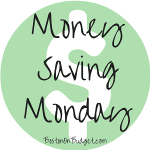 However, there’s so much budget-friendly ideas on my pages, I thought it would be fun to feature something budget-friendly and different each week. Also, each Feature Friday is something I have personal experience with or took advantage of recently! Enjoy! Last weekend I attended a wedding a few hours away in a popular summer town. It was a great wedding and location but the only problem was the area is quite popular in the summer with little hotel availability. If there was lodging available it was either 1.) Really expensive or 2.) requires a minimum night stay. I really didn’t want to pay $400 a night nor did I want to drive 2.5 hours home after the wedding. Have you ever had a similar predicament? I ended up looking (and booking) at AirBnB.com. If you are unfamiliar, AirBnB.com is a community marketplace for people to list, discover, and book unique accommodations around the world. You are able to book a shared room, a private room or the entire place. You can also list a room or your entire place if you have extra space and want to make extra money. We ended up booking a private room 10 minutes away from the wedding site and walking distance to many shops and restaurants. It was a private room with our own bathroom in the room which was a major reason for booking this place. It was $145/a night and didn’t require a minimum night stay, which was so much better than the $400 rooms at proper hotels in the area. Also, when I signed up with AirBnB.com for the first time, I signed up through a referral link which gave me a free $25 credit to put towards my stay. I also shared my referral link on my blog prior and two wonderful readers signed up so I had an additional $50 credit to use. After the room rate, additional service fee, and credits, I ended up paying $86 out of pocket for the room. However, even if I didn’t have AirBnB credit, I probably still would have booked because it was still much cheaper than a hotel. I was pretty nervous about booking and staying with AirBnB because you are booking with an individual and not a hotel management company so experiences can definitely vary. However, I made sure my hosts were verified and had reviews first, which made me feel a little better. I was really surprised how positive my experience was. Our room was spotless and the overall place was gorgeous. Our hosts were so nice and accommodating and they even gave us a little present as a thank you. We would definitely stay with our hosts again, and we are most likely going to check out AirBnB again, especially when hotel rates are above our price range in certain locations. If you do check out AirBnB.com, make sure you do your due-diligence because I have read AirBnB horror stories and there are cons regarding AirBnB. My first experience was great and I’m so thankful I didn’t have to overspend on a hotel room or head home after the wedding. Have you used AirBnB before either as a guest or a host? What has your experience been like? Do you have any tips to share? To check out AirBnB, please head here and head here for a free $25 credit when you spend $75 or more (my referral code). For more Feature Friday posts please head here. To subscribe to Boston On Budget’s nightly newsletter, please enter your e-mail here. 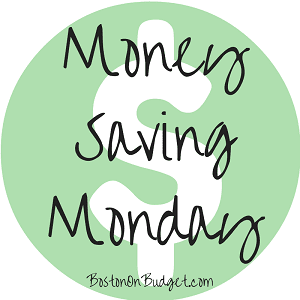 Cheap Weekend Fun in Boston for August 23-24, 2014! Here’s some free and fun things to do in Boston this weekend! There were so many fun things happening last week and this week’s roundup is a lot less. Please let me know if I missed any fun and cheap events in the comments below. Boston Urban Music Festival: Sunday, August 24, 2014 from 2-9pm at City Hall Plaza. Enjoy this free urban music festival with many different acts with headliner Talib Kweli. Magic Family Film Festival: Saturday, August 23, 2014 at the Prudential Center courtyard at dusk. Enjoy a free outdoor movie screening every Saturday night at dusk. This week’s free outdoor movie is Finding Nemo! Sunday Parkland Games: Every Sunday through September 28, 2014 from 3:30pm-6pm in Cambridge. Free Sunday games along the banks of the Charles River every Sunday in the summer. Dine Out Boston is underway, so make sure to check out restaurant week if you like prix fixe menus. Marshfield Fair is also underway on the South Shore, and you can find discounts to the Marshfield Fair here. Do you have any fun plans for this weekend? Free Picture Reenactment of Swan Lake on Swan Boats on 8/21/14! Please note: Initially I wrote it was a free performance but it is a picture reenactment of an old photo on Swan Boats from the 1970’s. with Swan Lake’s costumes. I apologize for the confusion. However, it should still be fun to see and bring the kids too. This Fall Boston Ballet will be performing the classic Fairytale, Swan Lake this fall at the Boston Opera House. However, on Thursday, August 21, 2014 at 3:30pm, Boston Ballet will be performing on the Swan Boats at Public Garden for free. This is a great opportunity to see free ballet in the park (on a boat). For more information about the free performance and/or Boston Ballet’s Swan Lake, please head here.